The watch size refers to the dial or face's diameter in millimeter. If you prefer a larger watch face we recommend 40mm for men, and 36mm for women. 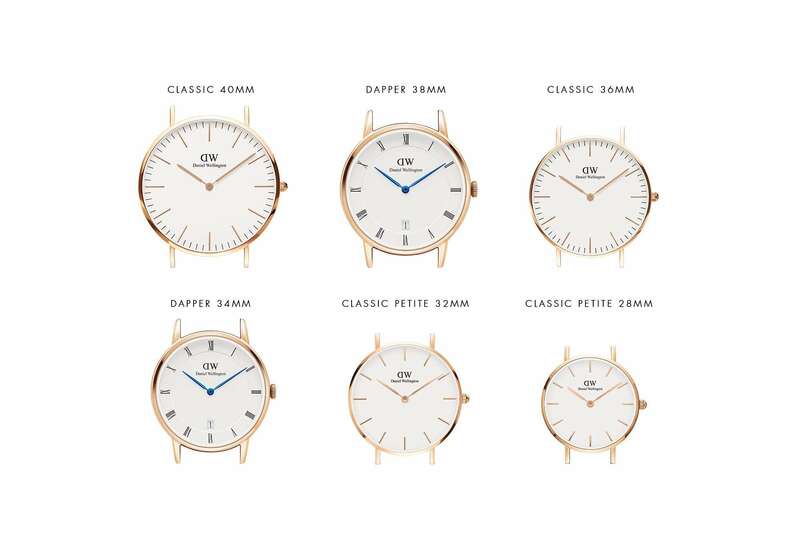 If you prefer a smaller watch face we recommend 36mm for men, and 28 or 32mm for women. Below, you can find all available dial sizes ranked according to size. Apart from the size of the dial, you might also want to know the circumference of the watch. On each product page we have included the adjustable length for that watch. This refers to the circumference of the dial + strap. The adjustable length is demonstrated with the minimum adjusted length possible, as well as the maximum adjusted length possible. If your wrist measure is anywhere in between these numbers, the watch should fit you perfectly. When measuring your wrist, make sure to measure the exact part where you would normally wear your watch.